When Samantha and Elizabeth asked me if I wanted to participate in The Great Christmas Exchange, I was elated (to say the least)! Having already been a part of a nationwide swap, in the form of the Great Food Blogger Cookie Swap for the last few years, I knew how fun something like this could be. The rules were simple: Receive your blogger's details and info (including a little list of some of her favorite things), spend up to $20, and ship to her house (all in secret of course)! Also, you would receive a different person who would be sending fun things to you. Again, all in secret! My blogger friend was Shannon Griffith, although she didn't have a blog url to stalk. I had so much fun looking around and finding things that I thought my secret person would love. 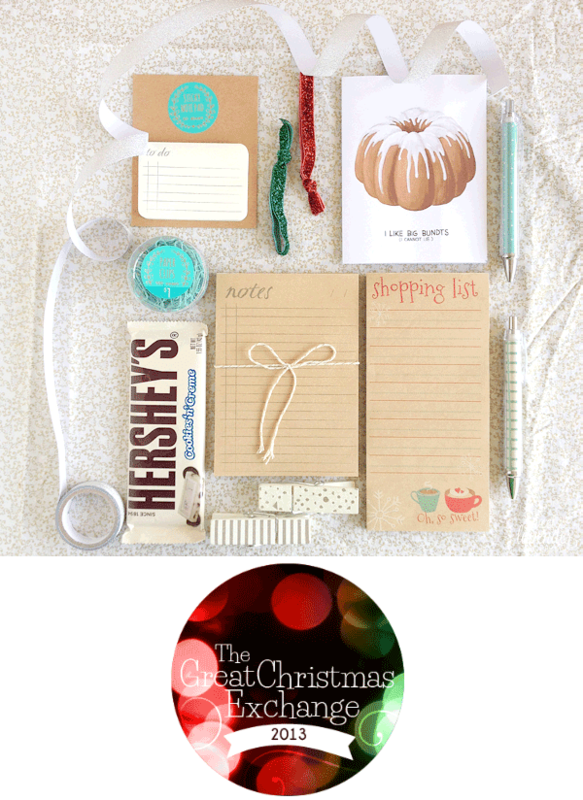 On her list were ideas like: books, comfy things, pens, and chocolate-- deal! 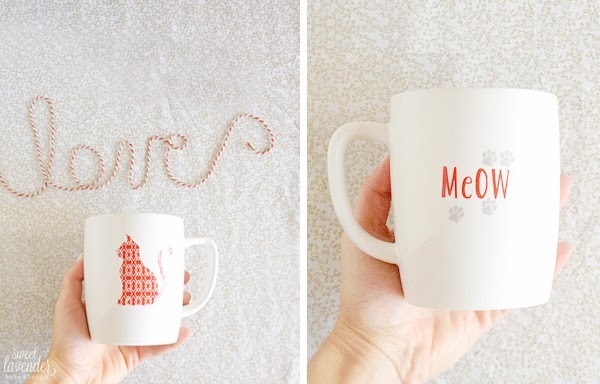 Target has seriously started carrying some amazing and super cute things, haven't they? So I knew, from the get-go, that I would have to start there and find some little "stocking stuffer" type things. Also, because my person loved pens, I kind of went crazy with the whole "cute office accessory" thing! Haha. 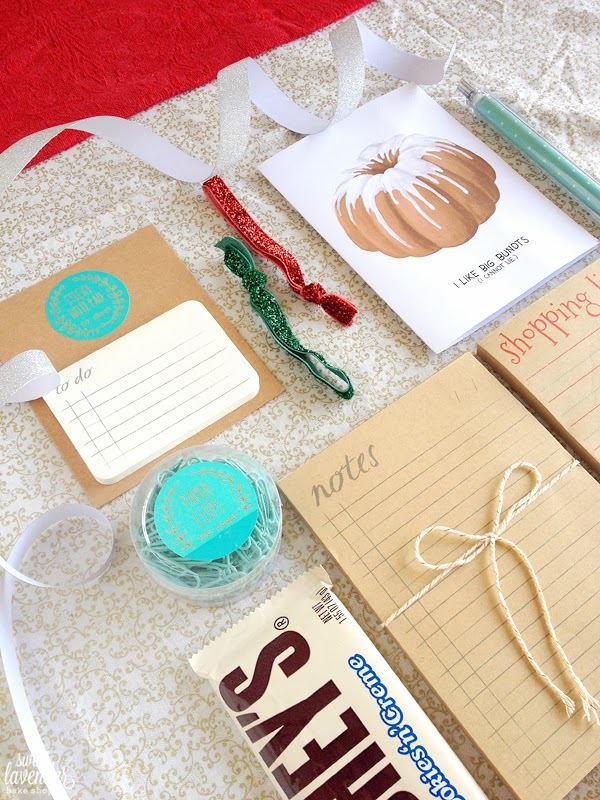 Included in her box were things like "to do" list sticky pads (kind of like post-its...but like, WAY cuter! 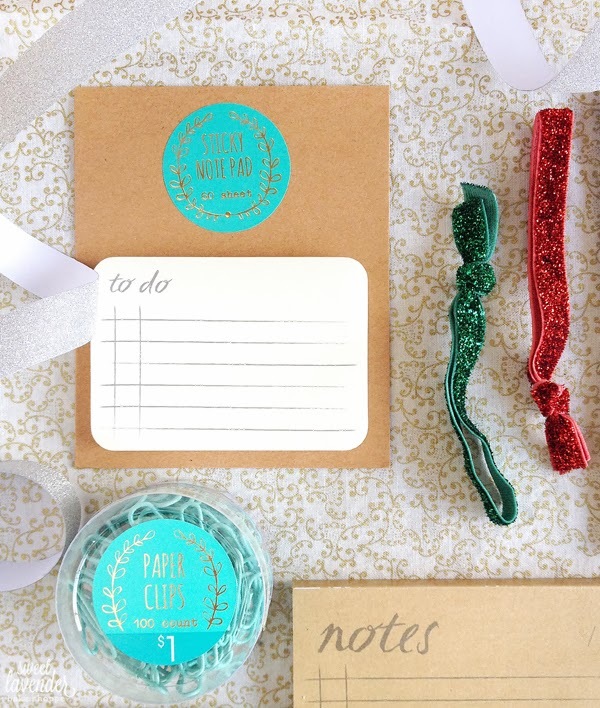 ), mint colored paper clips, and Christmas colored sparkly hair bands! Hair bands were not from Target, but rather Brickyard Buffalo. 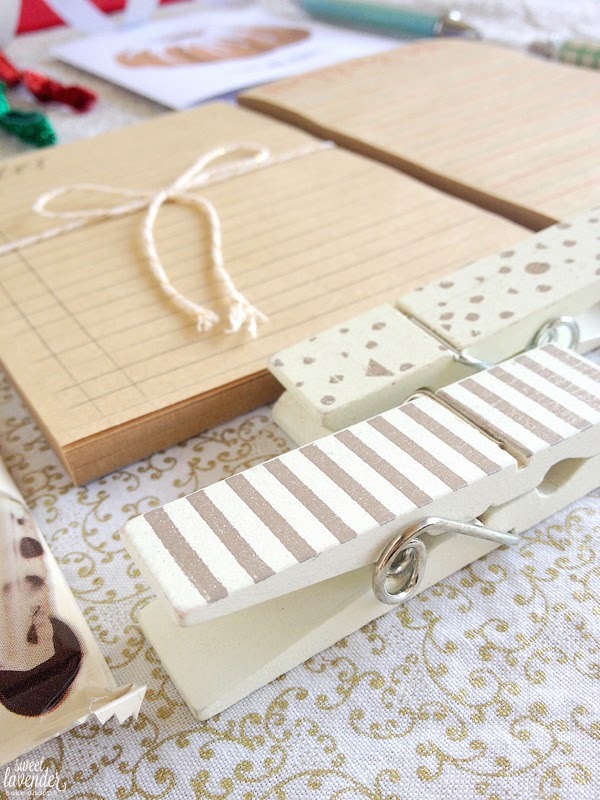 Shannon also got a note pad, which matched her sticky notes, extra large silver and ivory decorative clips, and a Cookies and Cream Hershey's Bar (she listed that she loved chocolate but without nuts)- the wrapping went perfectly with all of my light colored/ivory things! Lastly, but not least(ly) were some cute pens (duh!) to write on all of her office stuffs, a magnetized refrigerator shopping list, and this amazing bundt card. It's true- I do indeed like big bundts. I can not lie. Merry Christmas Shannon! I hope you enjoyed your stuff! Now for the super duper amazingly awesome fun part: what I received! Eeeeeeeeep! You guys. YOU GUYS! My secret swapper was Katie from Tomorrow, with a smile and she was absolutely phenomenal...and perfect...and seriously couldn't have found more ideal things. 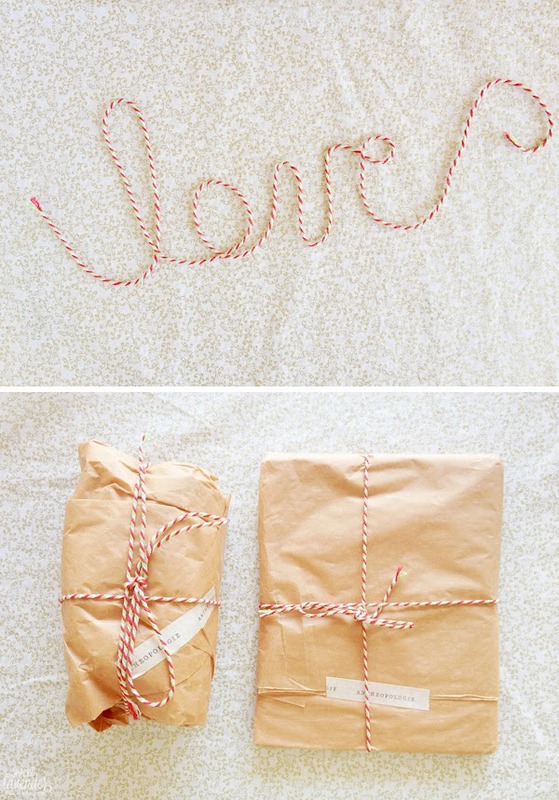 From the get-go...you know me.... upon seeing this wrapping, I already knew I was in love. This. Cat. Mug. Amiright? THE CUTEST and most perfect mug in all the land. I'm pretty sure the mug is from Target :) I have already used it three times. I love it to death. One of the packages from Anthropologie was this Rifle Paper Co label and sticker book. We're talking 30 sheets filled with labels for handmade presents or desserts, gift tags, just because, organizing things, etc. Again, I have already used a bunch. Love this to pieces! C h o c o l a t e truffffffffflessssssss....ahhhhhhhh. Totally delicious. 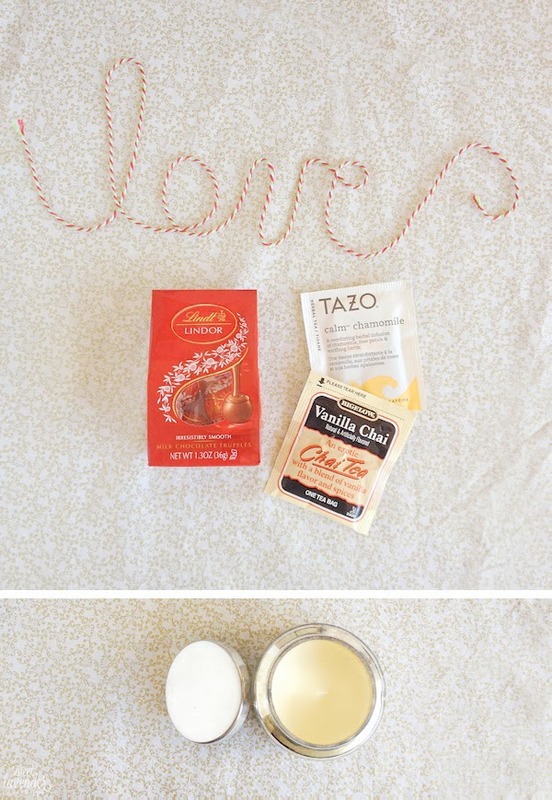 And three of my favorite things: tea, chai, and tazo! It's like she has known me for years! Also included, one of the most amazing smelling candles my little nose has ever smelt upon. I kid not. I thought my favorite Anthropologie scent was this mango coconut one, but goodness gracious- this Volcano candle is trying to rival for first place. I have it by my bed and allow it to fill our bedroom every night! Even my husband loves it. MmMmMmm! 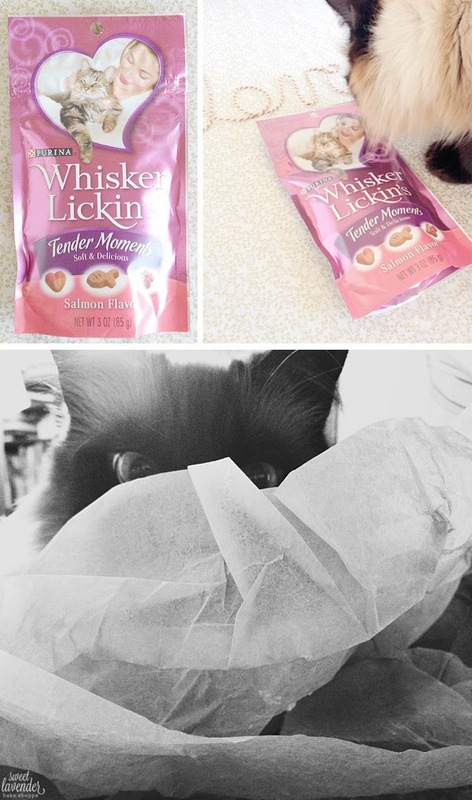 Lastly (and seriously, too cute), were little treats for Mombi and Mustachio! Who is this girl? Let's be best friends STAT! Mustachio was ALL over these babies as soon as they came out of the wrapping paper! I couldn't even take a photo! Speaking of wrapping paper- Katie...Mustachio thanks you from the bottom of her little kitty heart for the mounds of it. She was in kitty-girl heaven! So that's it guys! Our first Great Christmas Exchange! So fun right??? Heck yeah! Make sure you look for sign ups for next year! And, if you're interested in what other bloggers gave or received you can find out here or here! Thanks so much to Samantha and Elizabeth! You did a fantastic job girls!!! 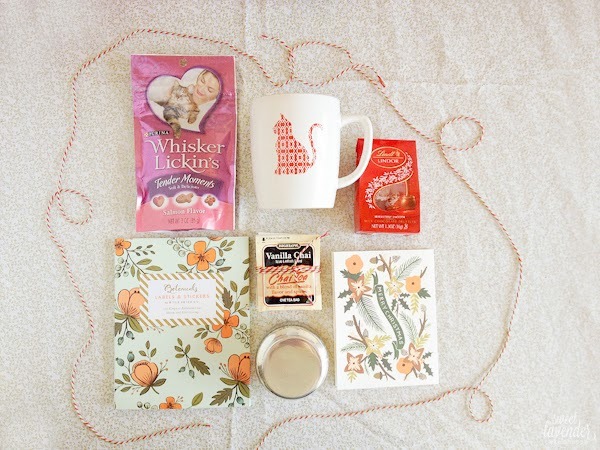 The cat mug was so darn perfect! Thank you for hosting it! oh. mah. gosh. BEST GIFTS EVER. everything is so cute and pretty and fun!! we totally did go the same route for our gifts...twins! also, i am going to have to check out that candle. it sounds wonderful! You will be in heaven with that candle! It was such a clever idea! i love this all! that card seriously is so funny! i cannot stop laughing!! Hehehe, I'm so glad! My husband will love that he brought such much laughter into people's lives! OH! Hehehehe, thank you friend! ahhh this is so adorable! 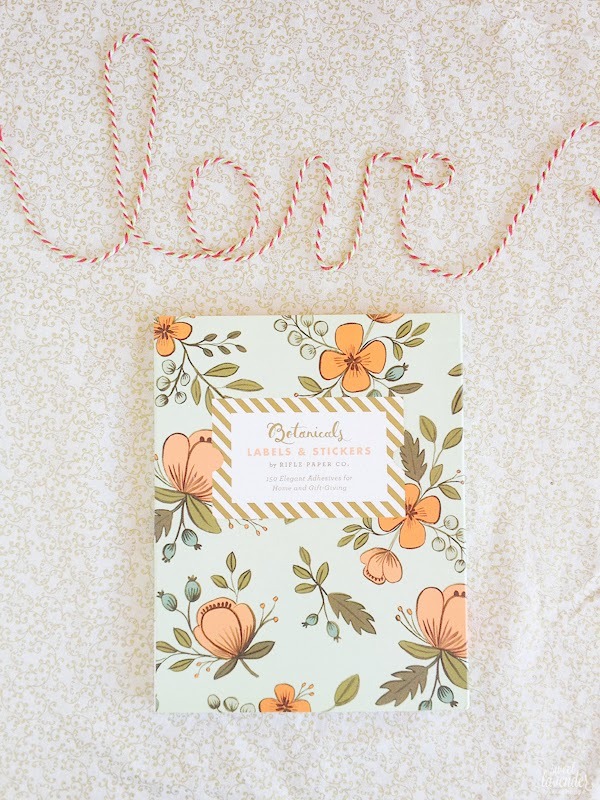 love the rifle paper and i'm a big fan of anthro candles myself. also the cat treats are the cutest. i'll have to remember that idea for next time i do an exchange! my little kitty would have looooooved that! such a fun exchange! Your pictures are gorgeous, and your enthusiasm is contagious. Had so much fun seeing what everyone received. Both gifts were fabulous! Gosh thank you so much for the kind words! And I also love all of the goodies you bought, too! 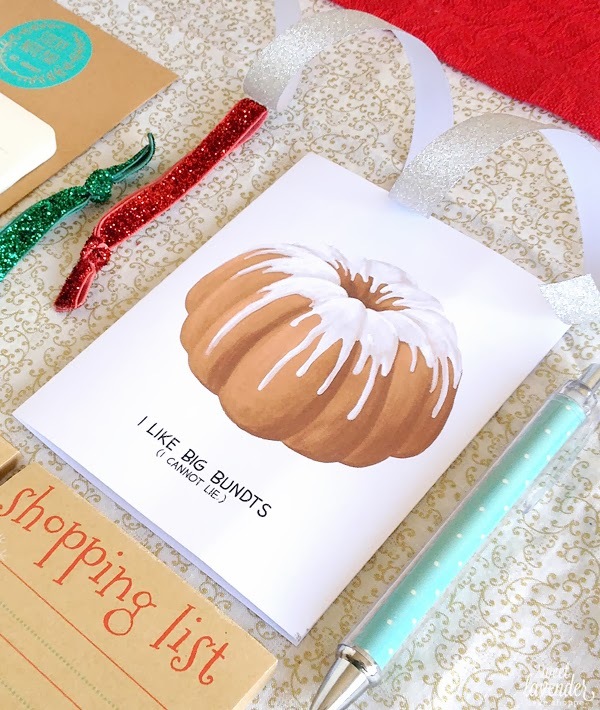 Especially the kraft paper-esque products and the "I love big bundts," that's hilarious! Aww Kiki, thanks so much for the kind words! Twine is fun! Hehehe. CAT MUG! And that last photo, too adorable!